We are halfway through the Great British Sewing Bee, and there are six contestants left. After four episodes I've really got to know everyone left. There's a nice bunch of contestants here, and they all seem to be quite different. Sew a waterproof anorak (techniques include handling slippery nylon fabric, iron on seam sealing tape, attaching ribbing) in 3 hours. The pattern was a simple bomber jacket style anorak made in a single layer of waterproof nylon fabric, with ribbing cuffs and waistbands, and raglan sleeves. I tried to find a similar pattern on the internet, but there just didn't seem to be anything like that out there. I have ended up taking two screenshots from the show so you can see what it looked like. There's not much to say about fabric choices on this challenge. They were all shiny, waterproof nylon. There was a bit of interesting colour blocking on some jackets. The main difficulty of this challenge was that none of the contestants had sewn with waterproof nylon fabric before - let's face it, who has? Apparently is really slippery and you can't pin it because that would put holes in it - not a great idea in a waterproof garment. Contestants used a few different approaches to avoid pinholes in the garment - pinning in the seam allowance, using pattern weights, and (my favourite) using pieces of tape to hold the pattern in place. Because the fabric slips and slides while you try to sew it, the contestants had to use a walking foot to control the fabrics, which most of them seemed unfamiliar with. I've never used one either, but it's on my list of accessories I want. The seams were also sewn in a very weird way - they were sewn with wrong sides together and seams on the outside, which were then sealed with an iron-on waterproof tape. I've noticed this tape inside jackets before, but never seen it being used. It was a very clever method for finish seams, but the contestants were given hardly any instructions on how to iron it, and most of them struggled. 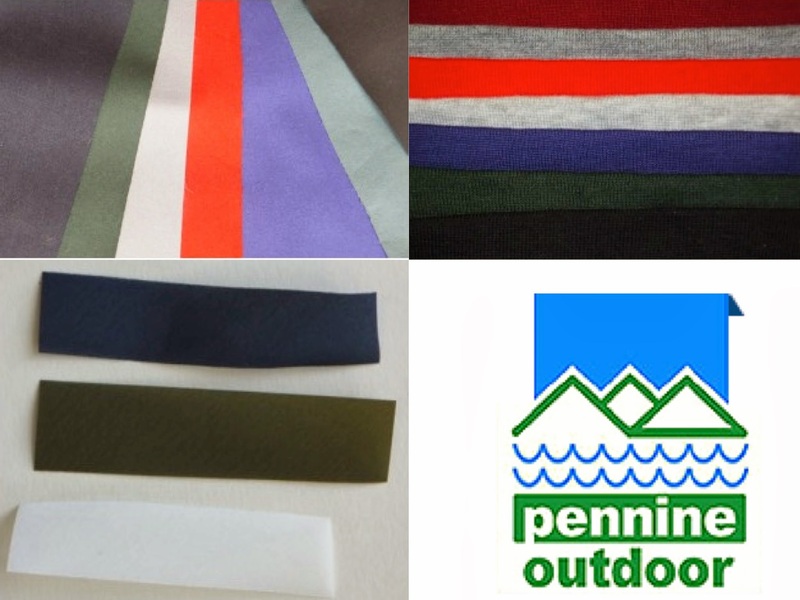 You can buy the seam seal tape and waterproof fabric from Pennine Outdoor. I believe this company was the supplier of materials for this episode. The final difficulty of this challenge was to use the very stretchy ribbing to make cuffs and a waistband. The ribbing had to be stretched evenly and sewn carefully to avoid puckered seams. For once, everyone did their best to follow the pattern exactly as it was written. Even Tamara managed to avoid unnecessary flourishes. Tamara's neat topstitching, properly secured seam tape, and overall good work. Jenni's colour blocked fabrics, properly secured seam tape, but her topstitching wasn't perfect. Heather's missing topstitching, puckered seams, and tape not fully secured. Lynda's unfinished collar, squiffy seams, and unfinished jacket. The results from 6th place are Lynda, Heather, Chinelo, David, Jenni in second, and Tamara in first. 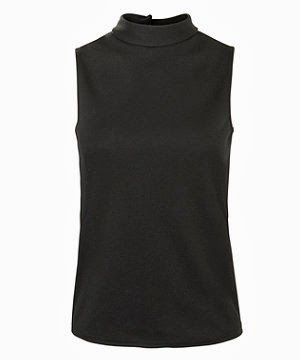 Take a sleeveless white top and pieces of leather, and transform them in 1.5 hours. The contestants were given a basic sleeveless, white, high necked top with a buttoned back in a heavy, double knit, jersey fabric. They were also given a variety of leather in different colours and finishes. David cut out the front and made a leather wrap in two tones of blue. He had trouble with the double sided tape and it stuck everywhere. The top was actually looking quite nice until he went mad with a stanley knife and slashed it up. Tamara turned her top back-to-front and added a yellow scalloped leather collar with reverse appliqué detail in a shiny blue leather. Heather cut a sweetheart panel out of the front of her dress and added two rust coloured leather panels, ribbons, lace and buttons. If she'd just stopped at the leather panels, it would have been a much nicer top. Lynda seemed to be the most adventurous, and made a bustier with aubergine leather panels, bias tape trim and a gorgeous leather flower detail. Jenni cut the back out of her top and replaced it with a scoop back in mauve suede, and added a leather necklace style trim on the front. Chinelo made a one-shouldered top and added a leather and lace ruffle, and a leather and ribbon corsage detail. Chinelo's clever cutting and neat work. Jenni's really nice leather panel in the back. Lynda's nice smooth lines and lovely flower detail. Heather's additions of lace, grosgrain tape and floral buttons which Patrick didn't understand. May felt she'd done a nice job with the suede, but had then gone a bit mad. David's seams with tape stuck in them, and a confused and messy front. The results from 6th place are David, Heather, Tamara, Jenni, Chinelo in second and Lynda in first. Sew a pair of velvet trousers to fit themselves in 6.5 hours. David summed up this challenge for me when he said "who wears velvet trousers?" It's certainly not a fabric that interests me, and I can't see myself ever making velvet trousers. That said, it was interesting to see how difficult a fabric it is to handle. Some of the challenges of velvet are the fact that layers of fabric creep as you sew them, which will result in uneven, puckered seams. Lynda hand tacked her seams, and Heather used about 5,000 pins in each seam to avoid seam creep. Any stitching will show on the garment, so topstitching is difficult, and unpicking mistakes will often show. I also noticed everyone using scraps of velvet when pressing, to ensure they didn't damage the nap of the fabric. 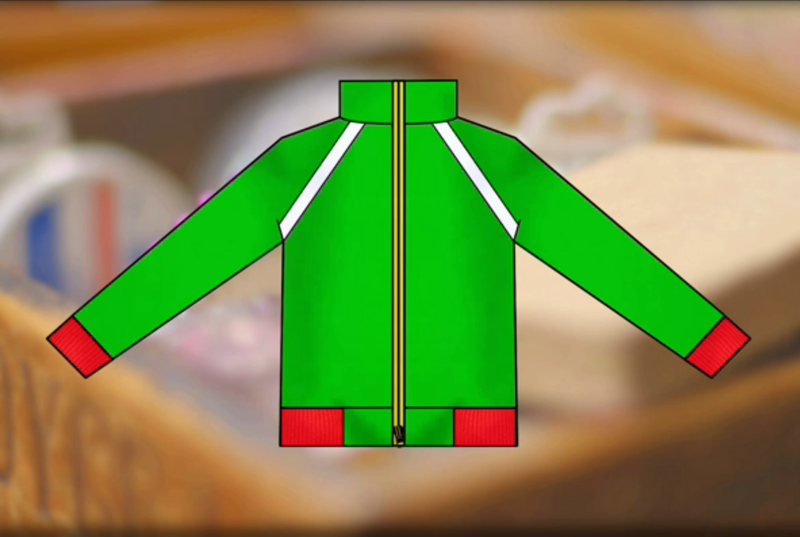 Heather chose a very simple pattern with an invisible zip. She also chose a firm, easy to handle velvet. Heather had experience sewing with velvet before. Jenni chose a very 80s style highwaisted pattern with a cuff on the hem and a fly zip. She chose a fluid, synthetic velvet, which gave her a world of trouble. It was also her first time sewing with velvet. Jenni was so busy reinforcing her waistband with layers of interfacing, that she sewed it on the wrong way around. Lynda chose a classic straight leg trouser with a fly zip. She'd only sewn velvet once before, but seemed quite confident. David chose a chino style mens trouser with a fly zip. He seemed to manage without too much trouble. He had plans to machine sew his him, but decided to hand sew after advice from Patrick. Chinelo chose a skinny leg trouser with an asymmetric peplum. She works with velvet all the time and seemed quite confident. Chinelo showed her technique for cutting the asymmetric peplum, and it was fascinating to see how it was done. Tamara chose a capri trouser in a lightweight cotton velvet with a printed cotton contrast, and an exposed zip. Heather's trousers were well done, but the pattern was very simple. There was a minor problem with uneven darts. Lynda's trousers were neatly sewn, fit her well, had a flat waistband and invisible hems. Her zip had one tiny pucker, but that was the only problem. Chinelo's trousers fit really well, the peplum was interesting, and overall they were pretty good. There was a minor problem with the hook and eye. Tamara's very good fit and "smashing" welt pocket, although there was some seam creep, and the contrast fabric on the waistband was showing. David's trousers were a good fit, darts were well pressed, pockets and fly were good, but there was some seam creep. "Overall they are a perfectly wearable trousers" - lukewarm praise indeed! Jenni's difficult fabric, waistband sewn on the wrong way, fly not concealing zip and hems lumpy. Jenni - came 2nd in the anorak challenge, 3rd in the alteration challenge, but her trousers were a mess. Heather - she came 5th in the first two challenges, and although her trousers were very good, they were the simplest pattern. Garment of the week went to … Tamara for her waterproof anorak. The contestant leaving this week was … Jenni. This week used fabrics that I haven't sewn with before, and probably wouldn't sew with myself. It looked like an incredibly challenging weekend for the contestants, and really tested their skills. We were given a glimpse of next week, which includes a baffling pattern challenge, altering an entire mens suit, and making overcoats. I cannot imagine making an entire overcoat in a day, so this is going to be an incredible challenge. The Thrifty Stitcher - Claire-Louise Hardie is the Sewing Producer for The Great British Sewing Bee, and usually does posts about the patterns used in the first challenge on each episode, and also has some nice posts about techniques used. She has just posted two stretch fabric classes (make your own leggings and Breton t-shirts) which will run later in March. Mighty Mighty Monk Seal - Steve & Chris present a very witty recap, which is written as fans of reality television review, rather than as sewers themselves.